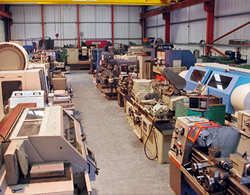 We are a Machine Tool company based in Peterborough stocking a wide range of New & Used Machinery to clients based here in the UK & Overseas. As a family owned business we offer from stock around 400 items of equipment at any time, our commitment is to offer Excellent Quality Machinery & value for money. 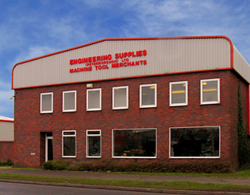 As the largest stockist within the eastern region of the UK, from our purpose built showrooms, major Machine Tool brands such as Astra, Amada, Bracker, Bridgeport, Colchester, Cincinnati, Deckel, Diaform, Edwards, Elliot, Harrison, Huron, Jones & Shipman, Jordi, Kitchen & Walker, Pollard, Promecam, RJH, Tos, Wicksteed, XYZ are always bought & sold. We can arrange for delivery, installation & training if required, as well as international shipping & packing can be provided. We are always looking for used machine tools so if you have a part exchange or something to offer, either a single item or complete workshop please do contact us. All our Machines can be seen under power, your enquiries are invited & will be treated as professionally as you would expect.